"When Elizabeth's time for delivery arrived, she gave birth to a son. Her neighbors and relatives, upon hearing that the Lord had extended his mercy to her, rejoiced with her. When they assembled for the circumcision of the child on the eighth day, they intended to name him after his father Zechariah. 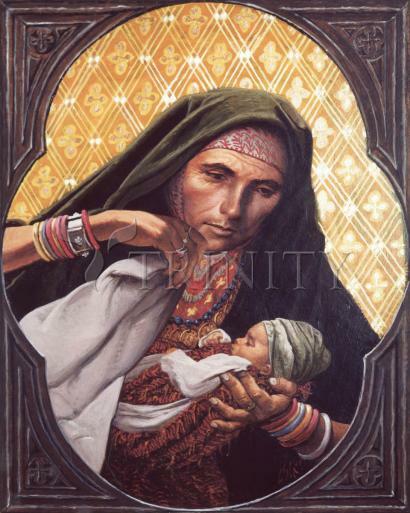 At this time his mother intervened, saying, 'No, he is to be called John.'"